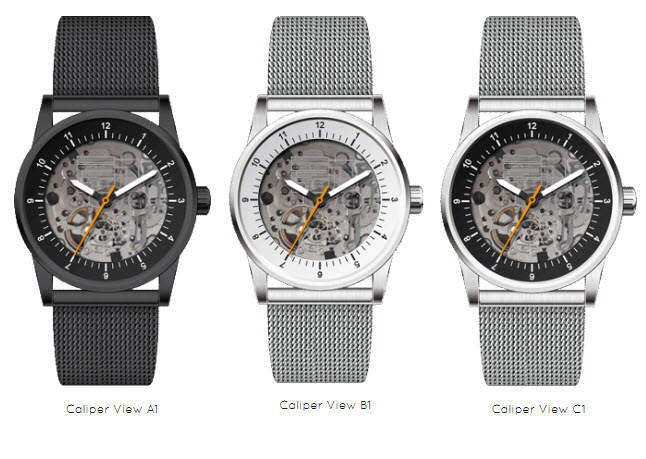 The Caliper View watch offers a tightly designed modern automatic watch that should make every architect and engineer cry. This is a new watch company taking its namesake from the tools used to measure distances between two sides of an object. I got to wear the prototypes to see how they measure up. Read on for my impressions! This is one of the watches that you just want to hold. The minute I got it out of the package, I had it on. I was immediately drawn to the two dial types, but loved the transparent or “skeletonized” version so I can see what drives it. Its case is a typical 316L stainless steel with sapphire scratch-resistant glass on the front and back. 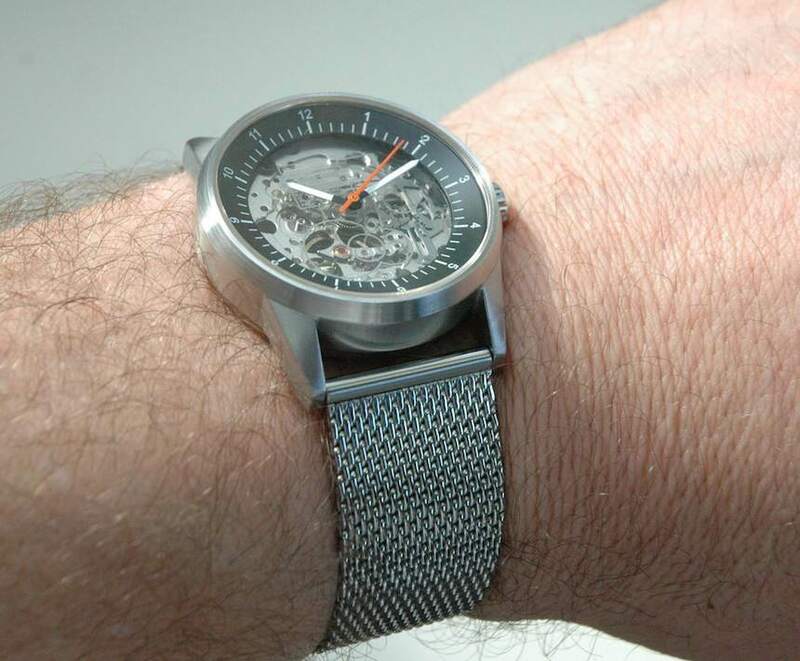 The satin finish case contrasts subtly with the mesh stainless steel bracelet. It’s not a big, trendy watch but looks more like a vintage camera lens on the wrist. 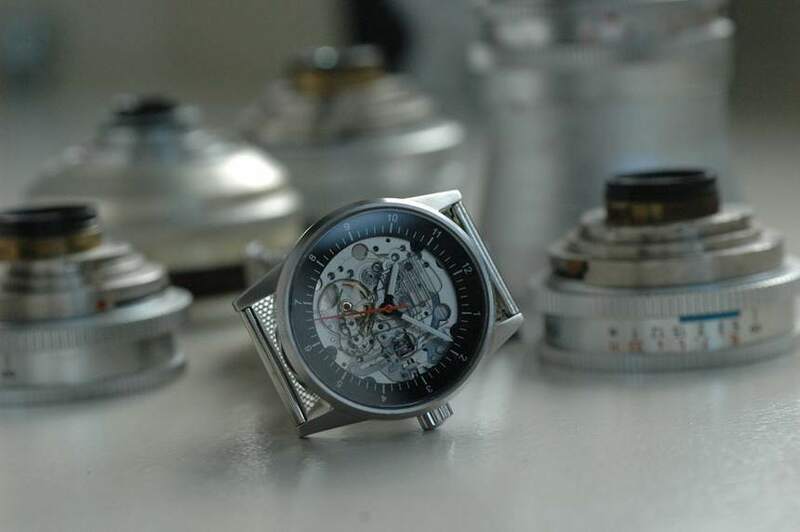 The 38mm case seems small to today’s standard but its conservative dimension is balanced with its 13mm height. The unmarked prototype I photographed did not include the branding on the side, but Caliper provided an image showing where the name will reside on the case. The side of the case seems just as good as any place for the name, but I hope it will be engraved and not applied. Through the sapphire crystal, there are two dial versions to consider. 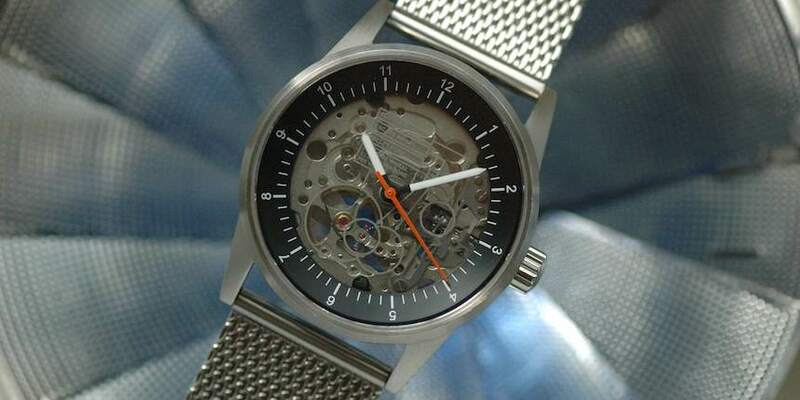 The number “1” version shows the movement through the dial and has a slight gray text, arrow and circle around the clutch, escape wheel, pallet fork and balance wheel. Caliper calls this the “didactic” or instructive dial. This is clever, and I love the idea, except it is not easily read. Still, I’m not far from my loupe and love studying the subtle watchmaker lesson it provides. The second dial or version “2” is the “dot screen” dial. 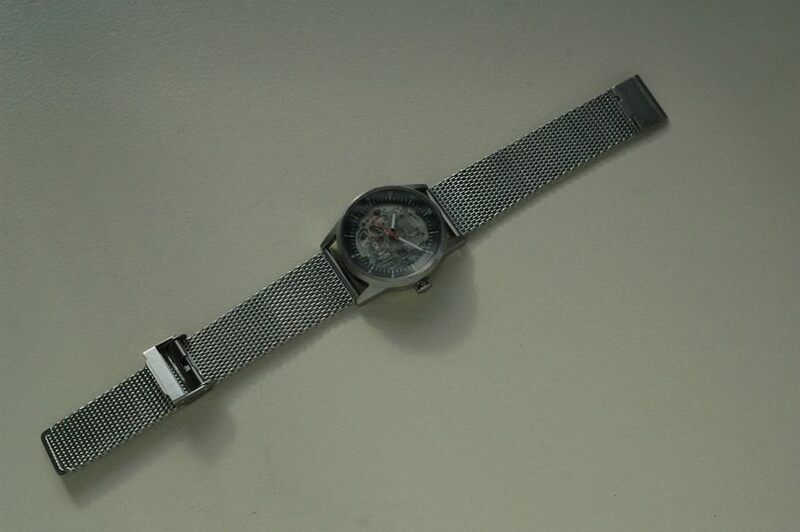 Although translucent, you cannot see the movement from the dial. This dial does offer more contrast between the hands and the dial so you might be able to read the time better, but I’m still a sucker for version 1. The dial’s white baton hour and minute hands on both dial designs are as simple and easy to follow. The center second hand is bright orange and points to the dial ring and the similarly simple, white Arabic numerals at every hour. Between each number are white markers, which the second hand so precisely touches at each second. With all this simplicity, don’t look for the watch at night. There is no luminescence. I’m not too concerned about that feature either, for the first watch from the company. The look is important, but it is what’s on the inside that matters most (I tell my kids the same thing). 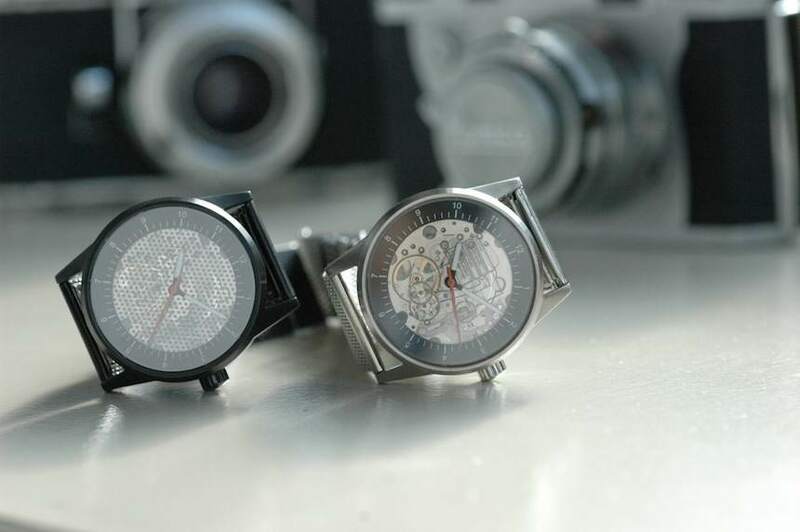 These watches have the Japanese movements made by Miyota. 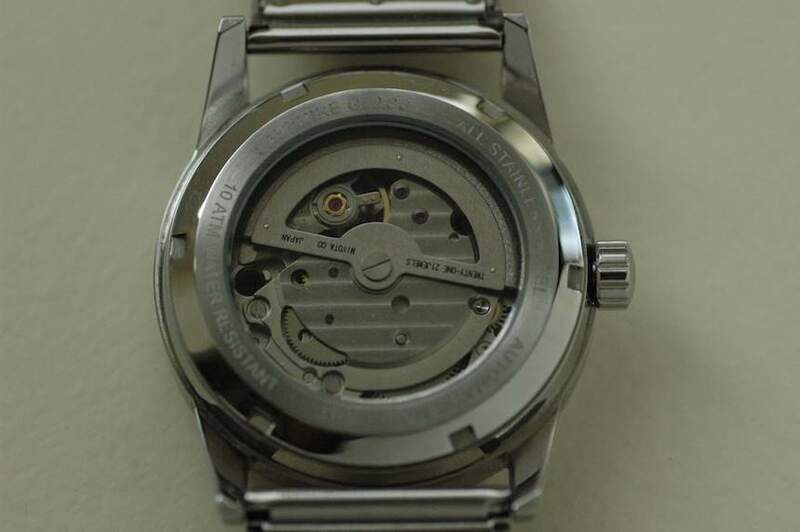 Specifically, it’s a Miyota 82S0 automatic movement with a center second hand and no date function. 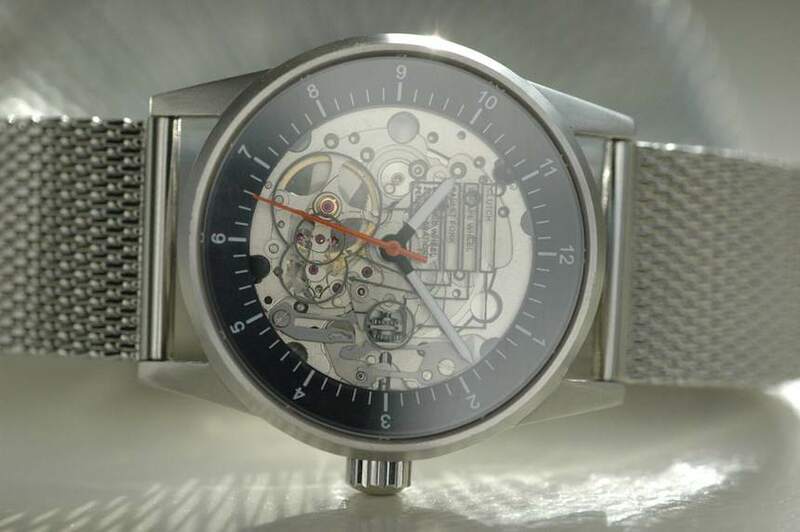 It’s non-hacking too, which I would hope for with a watch that is named after a tool synonymous with precision. This 21-jewel movement beats at 21,600 vibrations per hour. Generally speaking, the higher the beat, the more accurate it will stay over the course of time wearing it. Don’t take that as the definitive rule on what determines accuracy as there are many variables in that equation. Just consider that the prolific and accurate ETA 2824-2 automatic movement beats at 28,800 vibrations per hour. 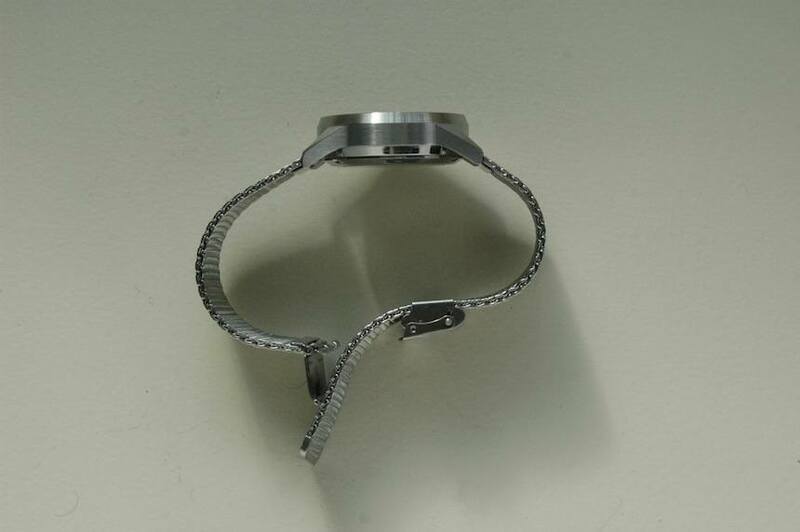 The automatic winding watch can also be hand wound by turning the crown clockwise in the normal position. This hand-winding feature is not your standard feature for some, inexpensive Japanese automatics, so I like that feature here. There’s a built in 40 hours of run time too. Put it down Friday night and it’ll keep time until the late afternoon NFL game on Sunday. 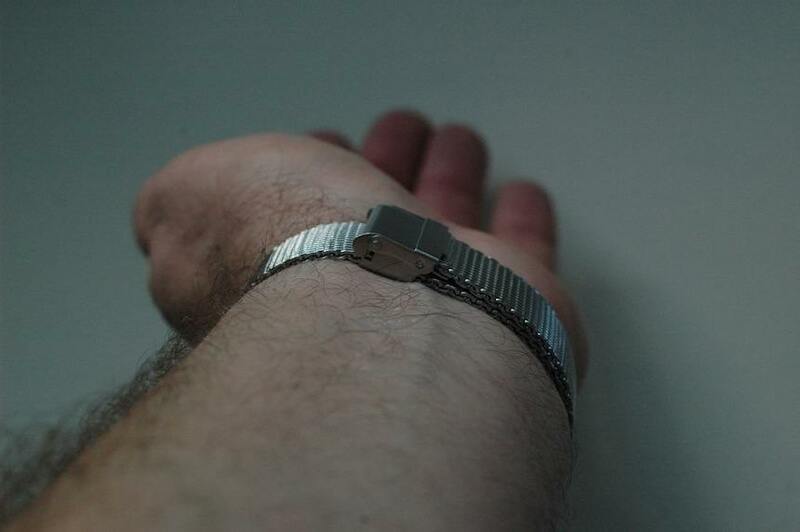 I can see a few other options for improvements, including adding luminescence and reviewing the bracelet’s fastener. It is not as easy to snap and the snap is too high on the inside of the wrist. If I had this watch on my normal routine, I’m sure it would have found a piece of furniture to catch. 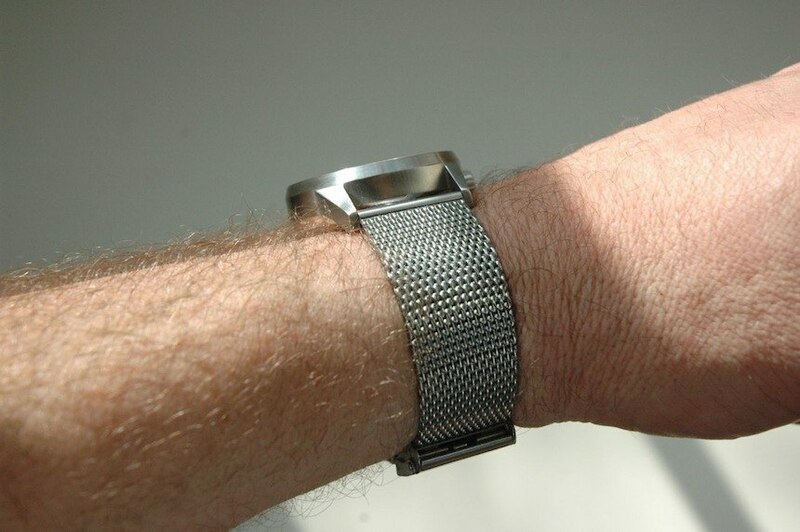 Still, the mesh bracelet is comfortable and has an irresistible feel to it. Overall, the Caliper View is a solid, mechanical and affordable instrument that feels like the tool it is named after. 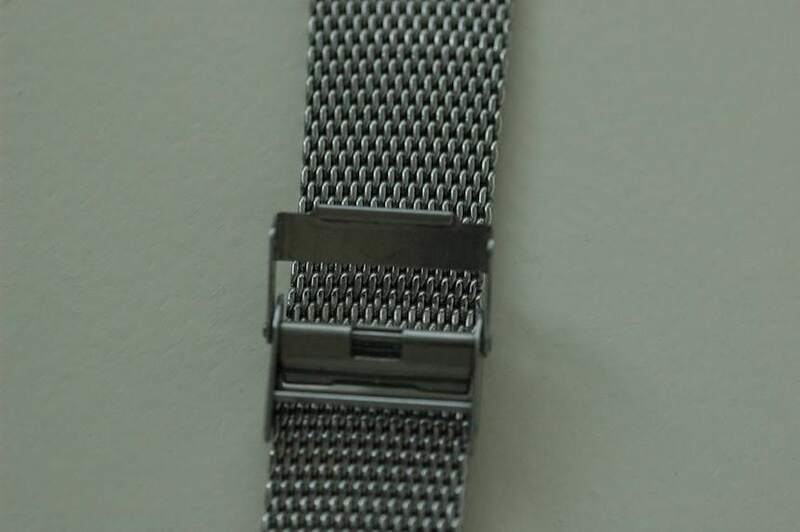 I think the smaller size may turn off a few, but the weight, case height and the comfortable mesh bracelet will be hard to resist for the others. The dial and color options only make it more tempting. I expect more from this company in the future. 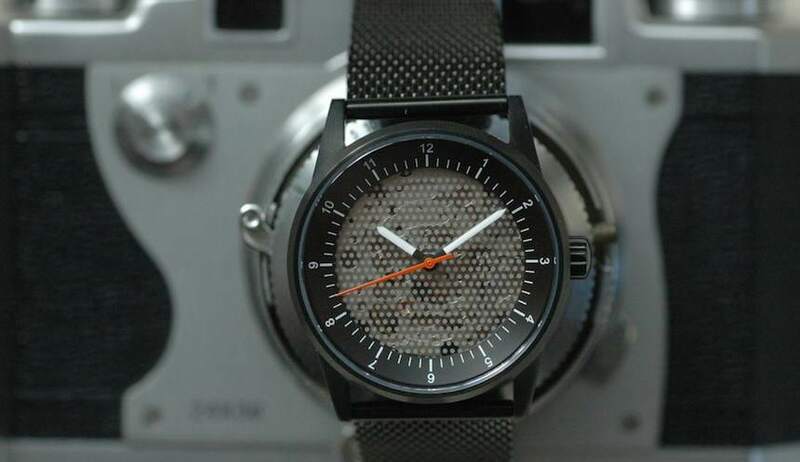 The Kickstarter project page just went live, and the watch will retail for $355. 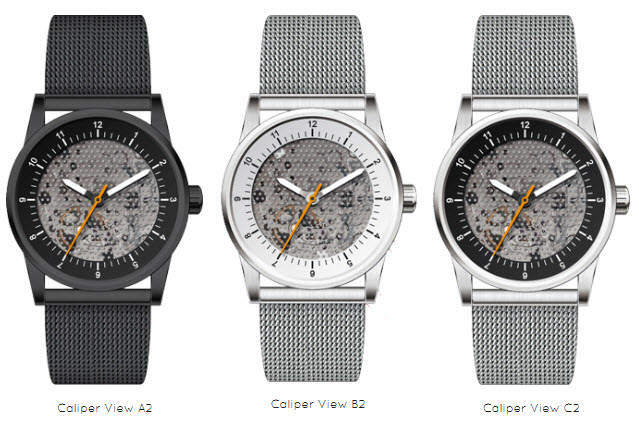 http://calipertimepieces.com/. 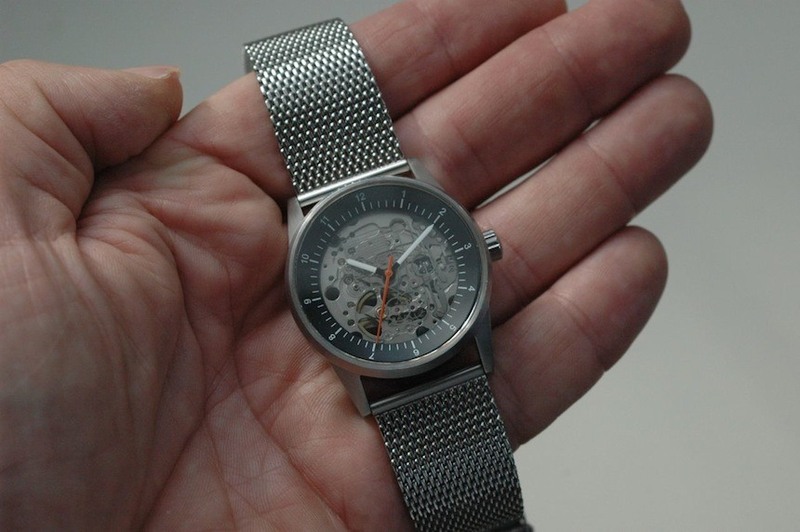 Who we think it might be for: This watch is for the design minimalist and person who loves the shiny and solid look of a stainless steel tool. Would I buy one for myself based on what I’ve seen? : Heck yeah, I would. If I could make one design suggestion, it would be: I would consider a less conspicuous place to put the brand name. What spoke to me the most about this watch: I liked the strap and the high case. It looked like a camera lens from my vintage camera collection.